There a many ways to compose a photograph of any subject, including the Space Needle. During my walk around the outside of The Museum Of Pop Culture (MoPOP), I wanted to see if I could get both structures in a single photograph. 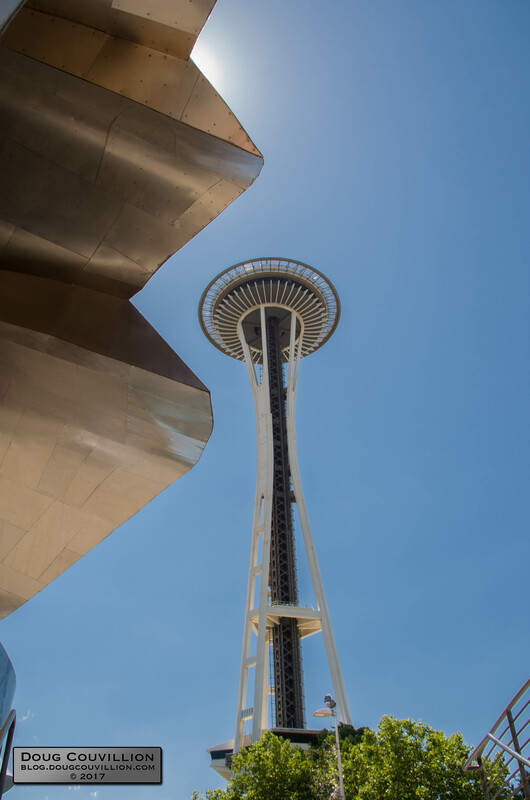 In this composition sharp angles and straight lines of MoPOP frame the circular top of the Space Needle. Here’s another view of MoPOP, published August 23, 2017: MoPOP Black And White.